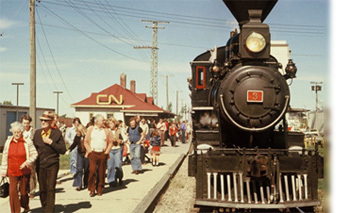 The source of this information is Canadian Pacific Corporate Archives, and the late Gordon Younger tracked this down through the courtesy of the late Omar Lavallée, former Corporate Archivist at Canadian Pacific. Most of you will probably be surprised at a few things, notably the cost when No. 3 was purchased by CP, and that when received by CP, No. 3 had to be shipped through the U.S. because the CPR line north of Lake Superior was not yet completed. Most interesting, though, is that No. 3’s service included nearly 10 years of working out West in the Canadian Rockies, from 1898 to 1908. Weight, working order: 82,500 lbs. 1882 April Received from Dübs & Company, Glasgow, Scotland. 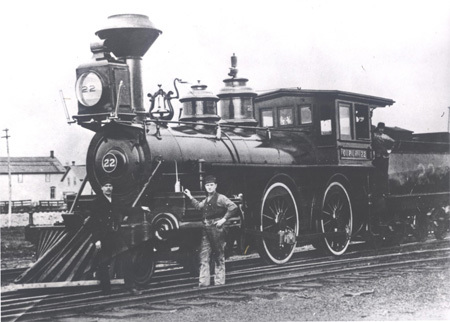 4-4-0 type, 17” X 24” cylinders, 62” driving wheels, Builder’s serial number 1572. Assigned CPR road number 22 (Series I); no class assigned. Shipped to Western Division via Chicago, St. Paul and Emerson, account CPR line around Lake Superior not completed until 1885. 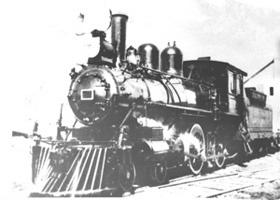 1882 – 1902 No locomotive assignment records in existence, but a photograph taken about 1886 shows the locomotive at Rat Portage (Kenora). Repair records from CP Corporate Archives show No. 22 received repairs during this period at Fort William and Kenora. Sometime after June 1897 No. 22 was moved to the Pacific Division as the first noted repair was done in Kamloops in 1898. 1905 Locomotive assignment record not in existence. July Equipped with new CPR standard boiler to drawing 13 L 173, but not superheated. 1918 Jan. – Oct. Leased to City of Winnipeg for $10.00 per day. Nov. 1st Sold to City of Winnipeg for $9,000.